Gray Manufacturing is a family-owned and -operated lifting equipment manufacturer in St. Joseph, Missouri. Through equipment durability and unsurpassed customer service, the company established itself as a market leader and has remained so for over 60 years. As younger generations flock to the web for communication, entertainment and news, Gray leadership turned to social media marketing experts to enhance and expand the company’s social presence. SJC Marketing set to work designing custom profile images for Gray Manufacturing’s Facebook page, as well as future Twitter and LinkedIn pages. Business-focused employee images were also gathered for the personal LinkedIn profiles of key individuals on Gray’s in-house marketing staff. Twitter and LinkedIn pages were built out for the brand and about sections were enhanced to fully inform visitors of Gray’s values, mission and reputation in the industry. After determining a social media strategy tailored to Gray Manufacturing’s aims to increase current audience engagement and expand the audience, SJC Marketing worked with Gray leadership to gather information and video footage for an array of visual and video marketing campaigns. SJC Marketing’s graphic design team developed unique visuals and video for each campaign, designed to highlight the exceptional features of Gray equipment, the unique cohesiveness and commitment of the company’s culture, and Gray’s pivotal role in both the trucking industry and the U.S. economy. SJC Marketing continues to provide ongoing support through regular social media content development, management of content distribution and new marketing campaign strategies. Gray Manufacturing has also recently tapped SJC Marketing’s expertise for search engine marketing efforts. 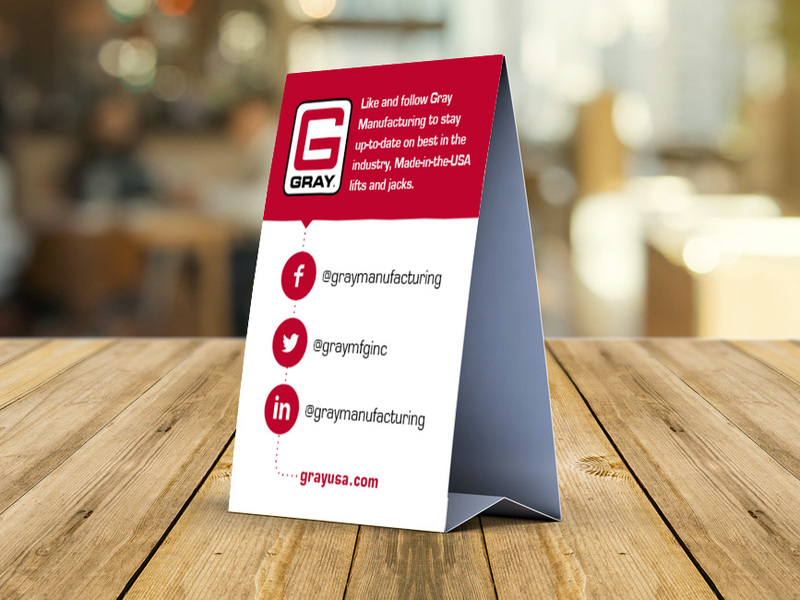 Gray Manufacturing’s commitment to person-to-person relationships coupled with SJC Marketing’s creative social media campaigns and professionally designed visual media has paid dividends in audience growth, audience engagement and content reach. 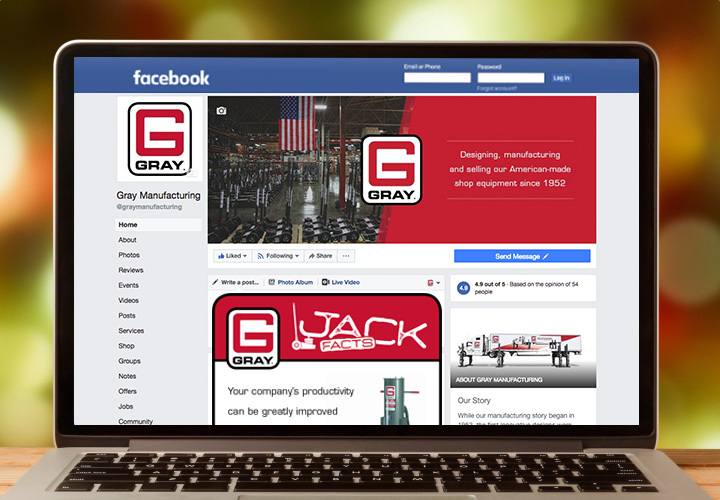 In the first 16 months of partnering with SJC Marketing, Gray Manufacturing has seen its Facebook audience more than double; its LinkedIn audience grow more than 10 times the first month it was live; its Twitter audience quadruple; and its regular YouTube views metric double.